When was the last time you were really fired up and motivated? What was it that made you feel this way? 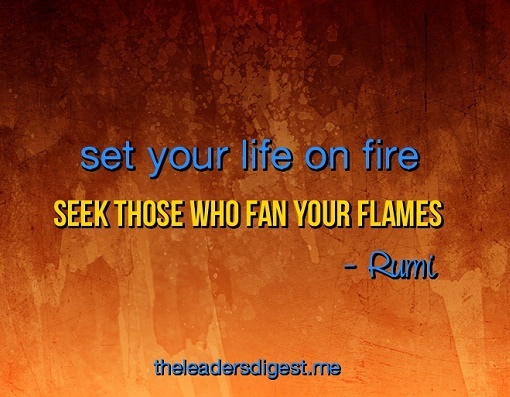 If you’ve ever had a boss who took the time to find out what ‘lights your fire’, you’ll know how powerful it can be. Discovering what motivates people leads to a whole lotta good stuff. For one, it builds trust. Taking the time to talk to someone about them and not just the task at hand shows you genuinely care. For another, it makes you a better leader. Knowing what propels each member of your team means you can give them the fuel they need to succeed. Every business leader is charged with getting stuff done through other people. It’s pretty darn difficult to do this without understanding what actually motivates people in the first place. So if you’re a boss, don’t wait for the next performance appraisal or formal career planning session to find out what lights your direct reports’ fires. Have that conversation NOW…and see what unfolds as a result. As a side note, I highly recommend adding this book to your leadership repertoire. You can order your copy by clicking on the image below.